This manual includes three easy and effective solutions to recover deleted files, which ensures you can get back deleted or lost data as many as possible. Occasionally people click the delete button by mistake and some important files get deleted. File deletion is one of the most common operations and it can be done many times a day. Thus it’s very likely to delete important files by accident. There is always a chance to recover deleted files, as deletion operation can’t erase files totally from hard drive sectors. Files stored on hard drive are still recoverable even though they are deleted from Recycle Bin or removed by Shift + Delete. But this do not means any deleted files can be restored, as overwritten files can never be recovered. The recovery action should be done as soon as possible after you realize file loss on your computer. That’s because every time a new file is stored on hard drive, chances of successful recovery gets lower. Deleted file recovery is available before lost data gets overwritten, so you should try your best to protect data from being overwritten. For example, do not save data to the partition where lost files were stored, do not install application to that drive either. If files were deleted from system partition such as desktop, you should shut down computer and perform recovery after booting computer to PE environment or connecting the hard drive to another computer. If your computer is suffering from data loss, you can read on to find out solution to fix it. This guide includes complete solutions to restore deleted data. Windows puts files deleted from hard drive to Recycle Bin for temporarily storage, which is a safety measure to prevent data from being mistakenly deleted. It’s easy to restore any files in Recycle Bin unless files are cleared from it. Double click the Recycle Bin icon on the desktop to open it. 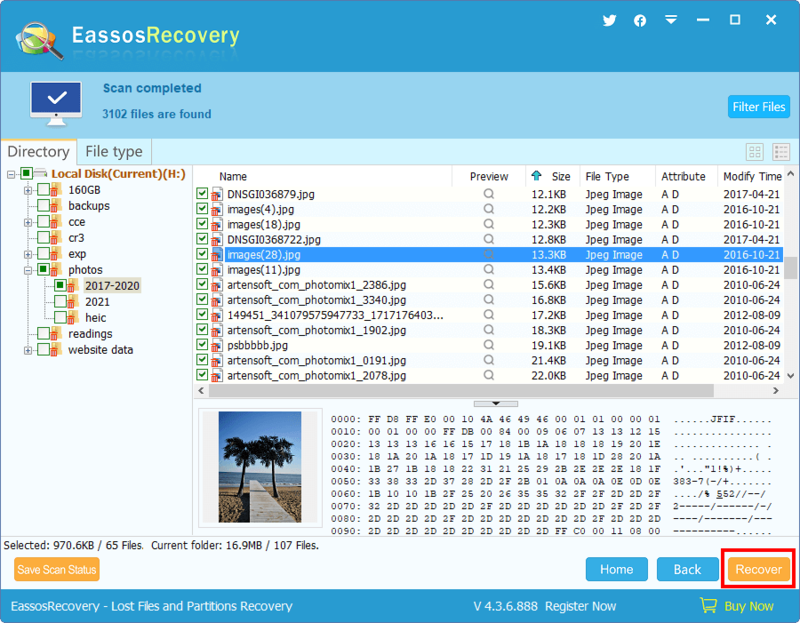 View files to find out the one you want to recover. Select files and right-click mouse button to select “Restore”. The file will be restored to the original place where it was stored before deletion. If your files are backed up regularly, then there is a chance of deleted files are in the backup. Thus, it’s worth time to check your backup, if you can find lost data in backup the recovery couldn’t be easier. If you have never backed up your files, it’s time to get in the habit and you’ll benefit from it a lot. Even if deleted data can’t be restored from Recycle Bin or backup, you are still able to get back lost files. Data recovery software can help you get rid of the issue. Free data recovery software is not only able to recover deleted data, but only retrieve lost files caused by formatting, partition corruption, virus attack, system crash, RAW disk, etc. 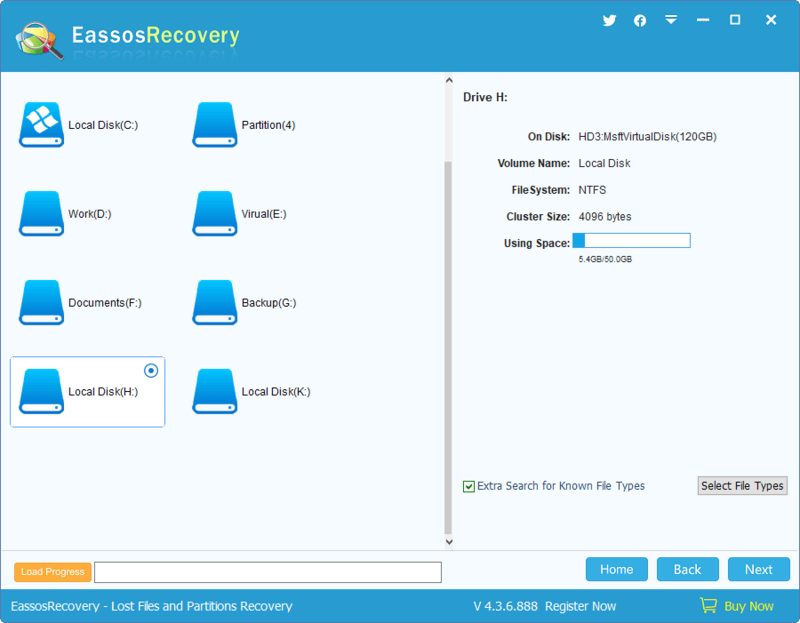 Eassos Recovery Free can be the best choice to deal with data loss problem. It contains four recovery modules which includes all data loss situations. 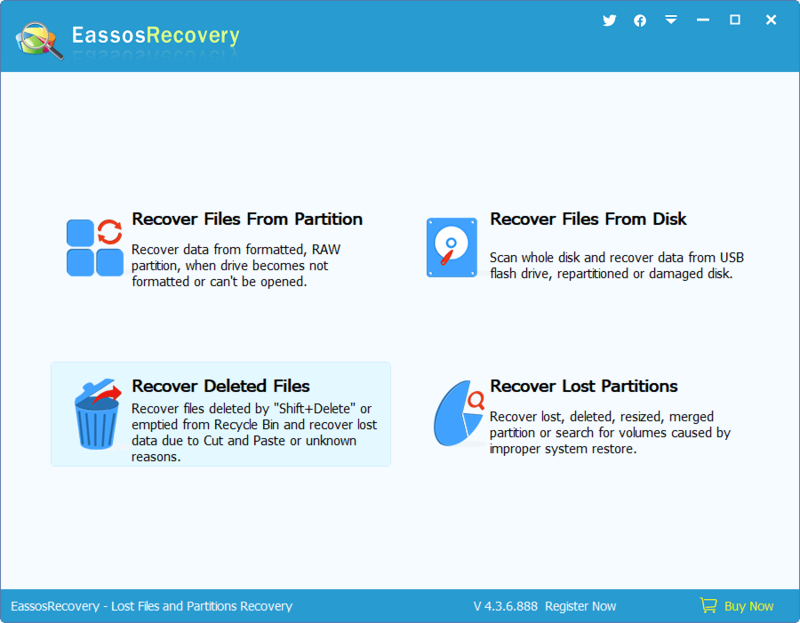 Step 1: Install Eassos Recovery Free to your computer and run the software after installation is done. Select correct recovery function. How to get back deleted YouTube videos? This entry was posted in Data Recovery and tagged deleted file recovery, recover deleted files, recover deleted files from recycle bin, recover deleted files windows by EASSOS. Bookmark the permalink.